Our internal candidate programme will help you understand the recruitment process at York and how you can best prepare your job application. The professional and career development planning workshop doesn't provide specific careers advice, but is aimed at helping participants identify their own goals and their next steps in achieving them. Careers have a selection of reference books and journals, covering a range of topics,including self-assessment, career planning, self-employment, recruitment processes, and job sector-specific information. National Careers Service - The national information and advice service can direct you to possible sources of help and information. 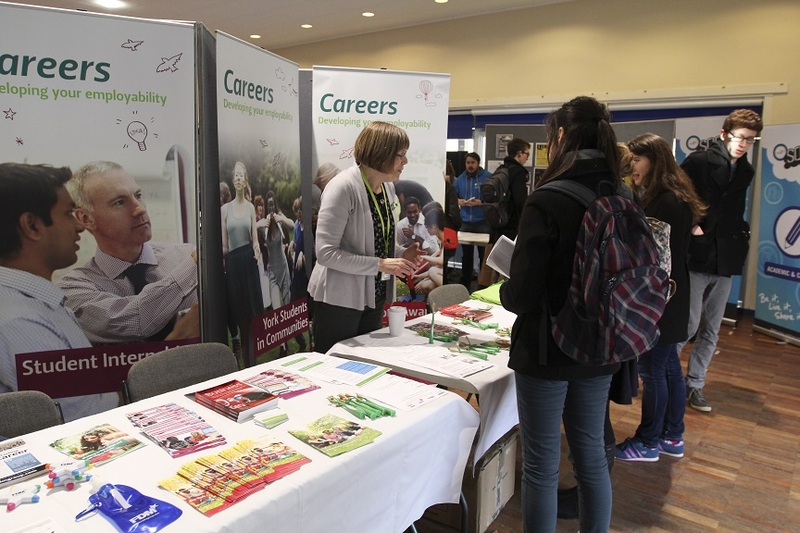 Graduate Prospects holds a huge range of careers information including occupational profiles, CV writing, applications and interviews, details of job vacancies etc. Learn Direct has information about courses and training throughout the country. jobs.ac.uk - as well as job listings, jobs.ac.uk also has careers advice on the HE sector. Careers Report - a series of questionnaires and psychometric tests to help you explore your strengths and weaknesses, your personality and abilities. Future Learn - a diverse selection of courses from leading universities and cultural institutions from around the world. These are delivered one step at a time, and are accessible on mobile, tablet and desktop, so you can fit learning around your life.